In my last post I tried to explain, as I understand it, the central distinction Pope Francis employs. As he puts it in the long interview, on the one hand you have the 'mystical', which is about conforming oneself to Christ, being God-centred and open to the Spirit, and on the other hand you have the 'ascetic', which manifests itself in an an inward-looking concern with the Church as an organisation. This can be either a 'disciplinarian', 'legalist' attitude, or a naturalist attitude, that of a functionary in an 'compassionate NGO'. My question in this post is whether Catholics attached to the Traditional Mass, who are formed by the traditional spirituality of the Church and influenced by the traditional side of the debate on a range of issues, whether they need to worry that they are especially vulnerable to a critique inspired by Pope Francis' distinction: whether they can be characterised as asecetic rather than mystical, in the special senses in which he uses the words. The first thing to note is that Pope Francis, like almost all the bishops and influential clerics and high-ranking lay employees in the Church today, has almost certainly never had the opportunity to see Traditional Catholics at close quarters. You can't spend long working for Church institutions without having to collaborate with Catholics at a variety of points along the 'liberal-conservative' spectrum. But in the unlikely situation that traditionally-minded Catholics find themselves in important roles, they will be in deep cover. Again, very few non-trads have read a serious book by a traditionally-minded Catholic: by Michael Davies, for example, Dietrich von Hildebrand, Amerio Romano, or Christopher Ferrara. 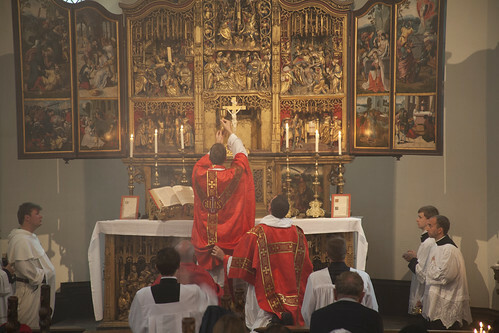 Very few under fifty are remotely familiar with the traditional works of liturgy and spirituality, or (under sixty) the Traditional liturgy itself, which form the background to the movement, and the old-timers will have no way of knowing how these things manifest themselves in post-Conciliar conditions. In other words, we should not be surprised at a very low level of understanding of the concerns, attitudes, or practical strategies of Catholics attached to the Traditional Mass. It is up to us to address the misconceptions which inevitably arise. One very easy misconception is that Traditionalism fits onto the same linear scale as 'liberal' and '(neo-)conservative', but at the extreme end: that is, they are just conservatives on speed. Something which cannot be emphasised too much is that when Neo-Conservative Catholics become Traditional Catholics - and most trads were conservatives once - they give up two positions which are crucial to the standard 'conservative Catholic' offering: Legal Positivism and Ultramontanism. Neo-Conservatives might deny that they really hold these positions, but a strong tendency in these directions is absolutely necessary to the Neo-Con project. They accept whatever has just been enacted by the Church as the most authoritative statement on any subject, regardless of the weight of earlier laws, or considerations such as Natural Justice and custom. And they place enormous emphasis on the person of the Pope, seeking at all costs to endorse and live by even their non-magisterial statements and philosophical preferences. Pope Paul was a follower of Maritain? Let's all follow Maritain! Bl John Paul II was a Phenomenologist by training? Let's all be Phenomenologists! Pope Benedict likes St Augustine and Scotus? You get the idea. As I have remarked before, the absurdity inherent in this approach should be apparent, since neither Legal Positivism nor Ultramontanism are teachings of the Church. It is going to be particularly painful for conservatives under the present pontificate, however, since Pope Francis is even more clearly opposed to these tendencies than his immediate predecessors. 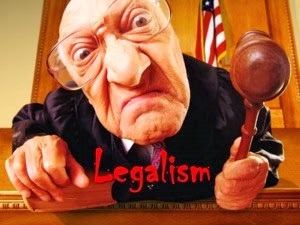 He is very opposed to 'legalism', of which Legal Positivism is a variety, and is very opposed to the centralisation of the Church, a tendency of which Ultramontanism is the most extreme endorsement. Legal Positivism, of course, is demolished by Thomas Aquinas' observation that human laws only bind in conscience if they promote the Common Good; centralisation is demolished by the insistence on Subsidiarity in the Church's Social Teaching, the principle that decisions should be made at the lowest level possible, which is at the heart of a traditional conception of all societies, including the Church. Perhaps the Neo-Conservatives' great respect for the Office of the Papacy will lead them to reassess these attitudes, and become traditionalists: that would be nice. On the blog of my favourite Neo-Con, the trad-bashing Fr Longenecker, is a neat expression of the dilemma. (This was attributed to Fr L himself by the usually reliable Hilary White, but it is in fact a commenter: thanks to the commenter in my own box for pointing this out). This man (or woman) is in pain. I find this interview very hard. I have accepted that this is the Holy Father's personal view, and that it is not infallible, but this interview is challenging my prior notion of what devotion to the Papacy meant because previously I would not have selected what the Popes said but assiduously read things like this. I can't get past the cognitive dissonance. Did you get that? While in theory he accepts the distinctions between fallible and infallible, and between magisterial and private, in practice, up to now, he has tried to accept whatever any Pope has said without 'selection'. He doesn't mention this, but this only applies to living Popes, otherwise he would have gone mad long ago. In these respects Traditional Catholics are far ahead of Neo-Conservatives on a Fransiscan analysis. The centralisation of the Church is certainly not something we have committed ourselves to. All Catholics have the right to appeal to Rome against unjust decisions at a local level: that is a fact about the hierarchical nature of the Church. But Traditionalists recognise that the centralisation of power in the Church has been a very mixed blessing. A practical example in the realm of the liturgy is that it is Traditionalists, and not Neo-Conservatives, who agree with the Second Vatican Council about the preservation and fostering of local liturgical rites and usages. Neo-Cons tend to see liturgical pluralism as nothing but a source of problems. Everyone, they tend to think, should be marching in step. 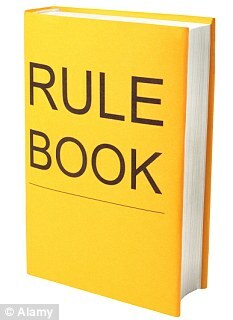 Another aspect of Neo-Conservatism which is closely linked to this is the emphasis on discipline. 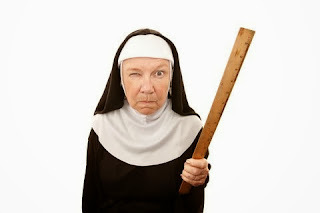 There is a tendency for them to say, on the one hand, that obedience should be exercised without any discernment of whether what we are being asked to do is just - what Aquinas called 'indiscreet obedience' - and on the other, that all problems can be solved by the exercise of discipline. How many times have Neo-Cons told us that if only priests could be taken outside and shot for liturgical abuses and doctrinal indiscretions, all our problems would go away? As if the collapse of Catholic spirituality was really a minor detail in the overall scheme of things, and all that mattered was outward conformity to the Rules. Tradition and memory of the past must help us to have the courage to open up new areas to God. They have conserved that pristine liturgy, no? So beautiful. We have lost a bit the sense of adoration, they conserve it, they praise God, they adore God, they sing, time does not count. The center is God and that is a richness that I would like to emphasize on this occasion as you ask me this question. God-centred pristine liturgy has not been completely lost in the West. The traditional liturgy is God-centred: it is mystical, not ascetic If there is a problem with Western traditionalistism, it is somewhere else, and this is why we need to clarify what we are really about. In the next post I will compare Traditional Catholics and Liberals, from a Fransiscan perspective. All true Catholics are traditional. It is intrinsic to the Faith. Insofar as a person rejects Tradition (including of the sacred liturgy), he is rejecting Catholicism. Another very good piece. The part "In these respects Traditional Catholics are far ahead of Neo-Conservatives on a Fransiscan analysis" is key and very noteworthy. I enjoyed the post, and the series, very much. But I wonder if you are giving the term "ultramontanism" a meaning different than that of, say, The Catholic Encyclopedia. Do you mean it as a type of "papalotry" as is sometimes glibly used to describe Fr. Longenecker's plight? If so, I agree. If used in the Traditional sense, I would imagine we are all Ultrmontanists. Those are not Fr. Longenecker's words though: the quotation is from a comment left in the comments box. Thank you for that. I took it in good faith from the LifeSite article, but I have found it now on Fr L's blog and corrected my post.